SACRAMENTO, Calif. -- Most of us are satisfied with a glass of Coke, but a northern Calfornia man didn't stop there. He filled his pool with the popular soft drink - 1,500 gallons of it. But Taras Maksimuk wasn't finished. He also added Mentos candies to create a fizzy sensation! 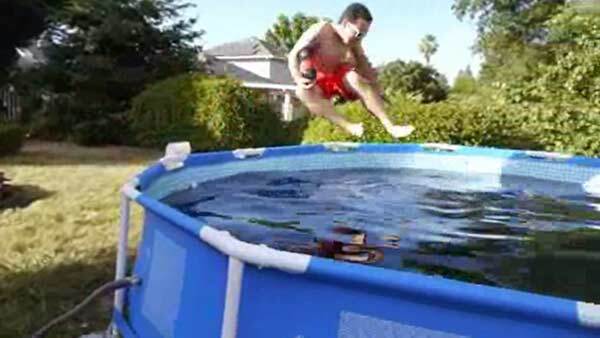 Then added ice, and asked a friend to take a running leap into the pool - which he did. Finally the friends flew a drone into the pool. The video is part of Taras' ongoing YouTube series TechRax, which produces videos of technology being destroyed.